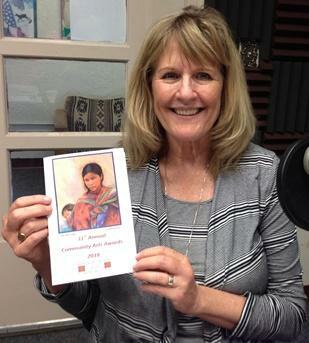 An interview with Kathleen Albers, Doña Ana Arts Council Executive Director. Kathleen Albers at KRWG FM studios. Las Cruces, NM – On this edition of PUENTES, bridges to the community, host Emily Guerra met with Doña Ana Arts Council Executive Director Kathleen Albers. 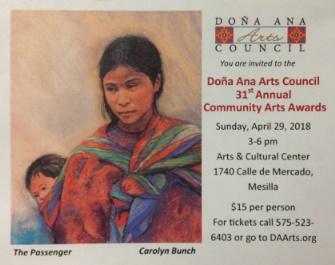 They will be celebrating the 31st Annual Community Arts Awards with a Garden Party (Hats are Optional) on Sunday, April 29th from 3-6pm at the Arts & Cultural Center, 1740 Calle de Mercado in Mesilla. There will be appetizers, wine and beer by local vendors, and a dessert table; with music by “Oldies But Goodies.” Tickets and information are available at www.daarts.org. The honorees are individuals and organizations who are actively involved in promoting and enhancing the visual, performing and literary arts. 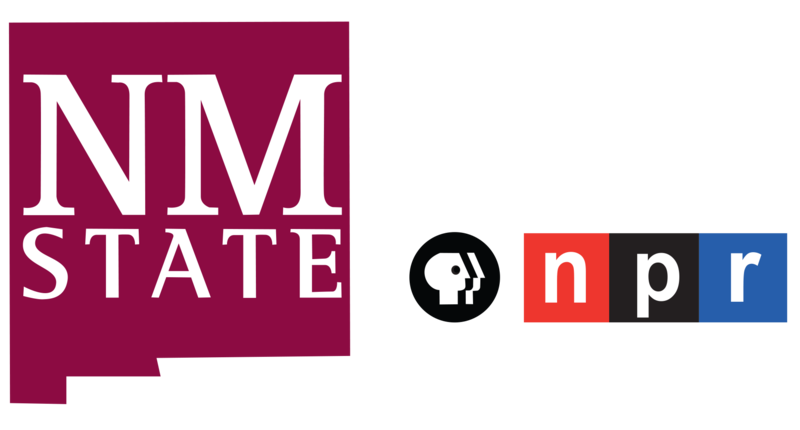 This year there are six awards: Papen Family Award to Kent Jacobs, MD and Sallie Ritter Jacobs; Newcomer Award to Marisa Sage; Arts in Education Award to Sally Quillin; Community Arts Award to ArtForms; Art in Public Places to Jess C. Williams; and Public Service to the Arts to Jeff Steinborn.